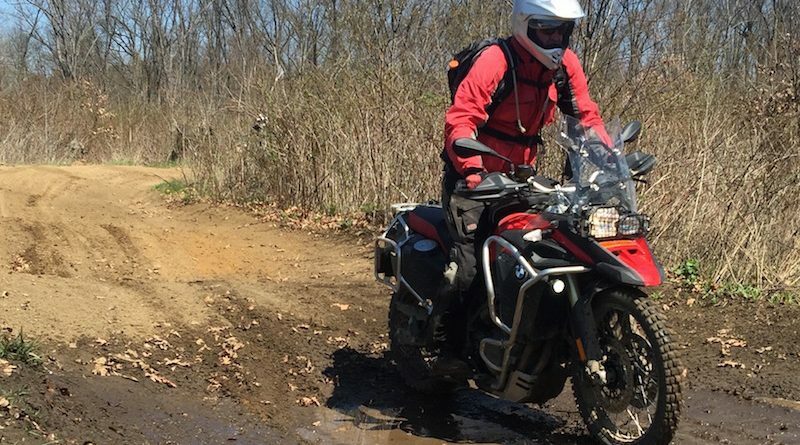 Great full day of Riding, 9 in all showed up and did several loops of the Maumee Off Road Course. Fleet included several Boxer GS's, (Sorry I don't speak Airhead, Oilhead, Watherhead, etc), me on my F800 GSA. A V-Strom with off road tires that showed us nothing but his tail lights on the trails and a new Husqvarna TE-701, that we all all lusted after. We made dam sure that Jeff "lord of the River" avoided any and all water hazards. After the off road course, took back and gravel roads to Dundee to tell more lies over a fine Mexican Lunch. Went our separate ways after lunch. Again another great ride to start the season. Now in the market for perhaps some more robust handguards/barkbusters.